Susan's Disney Family: Holiday Gift Guide Yonanas frozen treat maker is a great gift! Holiday Gift Guide Yonanas frozen treat maker is a great gift! Dessert anytime...that's just yonanas! Eating healthy is delicious, easy, and fun! 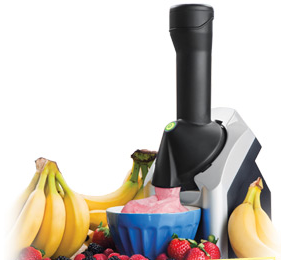 Yonanas, the amazing kitchen appliance, is more than a banana ice cream maker! Yonanas creates delicious, healthy recipes that taste rich and decadent. Yonanas takes on the flavor of ingredients you mix in. Simply add frozen strawberries, high antioxidant blueberries, or dark chocolate and create a creamy, frozen treat that tastes like strawberry, blueberry, or chocolate chip dairy-free ice cream. Indulge without the guilt and enjoy an easy, fun way to eat your daily serving of fruits and vegetables. A low calorie diet rich in fruits and vegetables can help you lose weight, look and feel great, and maintain good health. I was able to try this wonderful appliance with my family. All you need to do is peel an overripe banana and freeze it, but remember to peel the banana before freezing it because a frozen banana isn’t the easiest thing to peel! Once the banana is peeled just place it in the Yonanas machine and you’ll have a snack that looks, tastes and feels like ice cream but isn’t. It’s the perfect option for people who have dairy allergies and I live with 2 of them, my husband has learned over the years how to deal with his issues but my daughter still wants ice cream no matter what it does to her! The Yonanas has made my life a lot easier by being able to satisfy my daughters want of ice cream and not having to deal with the aftermath. I love mixing up flavors with my bananas, I like adding strawberries and other fruits to liven up the flavor. You can also add chocolate, peanut butter and other kinds of nuts to make any combination of flavors you’d like. This machine is great, it has one button and no one can screw up dealing with one button! All the joys of ice cream but without the guilt of calories of the agony of an allergy, we love our Yonanas and you will too! If you are looking for a gift idea of a family this would make a wonderful gift. 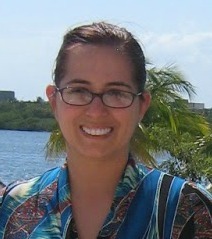 It is such a wonder, we love ours and we use it often, what did we ever do without it? So if you are looking for a present for that special family on your holiday gift list this year, look no further than the Yonanas frozen treat maker, my family loves it, and I am sure your family will too.